Last night I ended up going to the early CrossFit class (where I completed death by power cleans...ouch!) 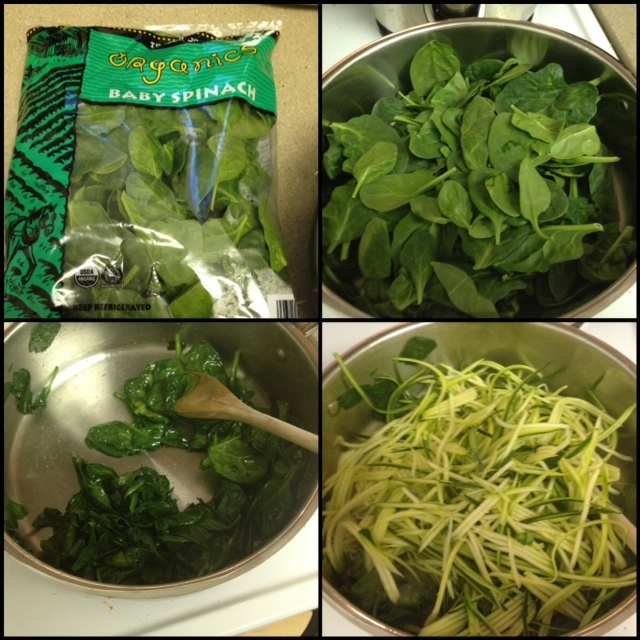 so I had time to make dinner once I got home. 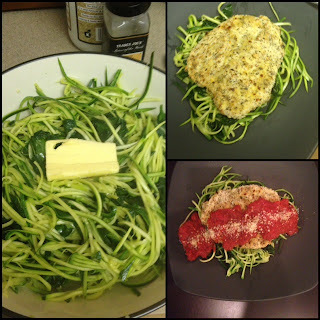 I was feeling extra Italian so I decided to make some Paleo Chicken Parmesan and I wanted to make it fast and easy. I used Trader Joes Marinara for the sauce- I always add extra garlic, red pepper flakes and italian seasoning to my sauce. I am in a rush so instead of writing out each instruction I will show you what to do via pictures. Start by pre heating your oven to 375. Start by heating up that marinara and leaving it to simmer while you do everything else. Add all of the spices to this sauce and let it meld together (is meld a word?!). Next grab two eggs and beat them together. 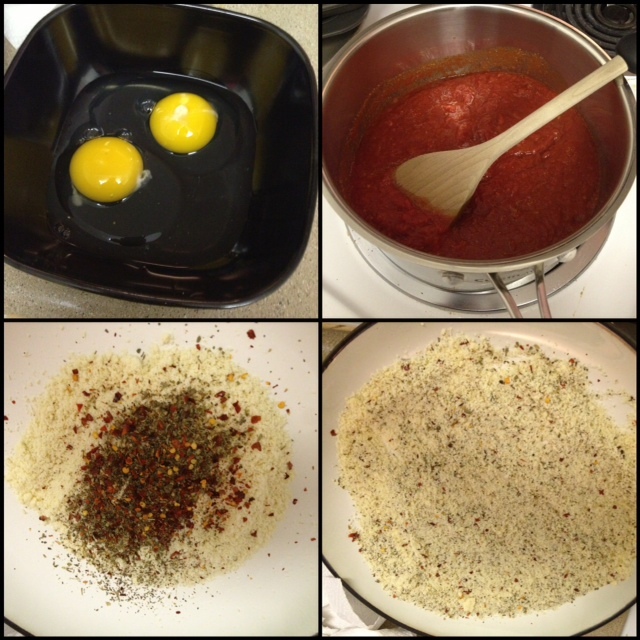 Get some almond flour and mix it with spices (I used basil, oregano and red pepper flakes). 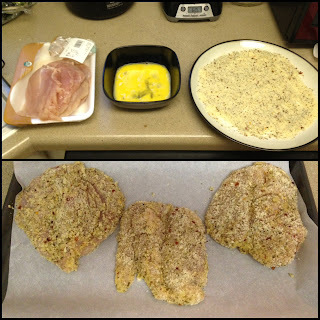 Butterfly your chicken breasts and set up a little "breading" station. 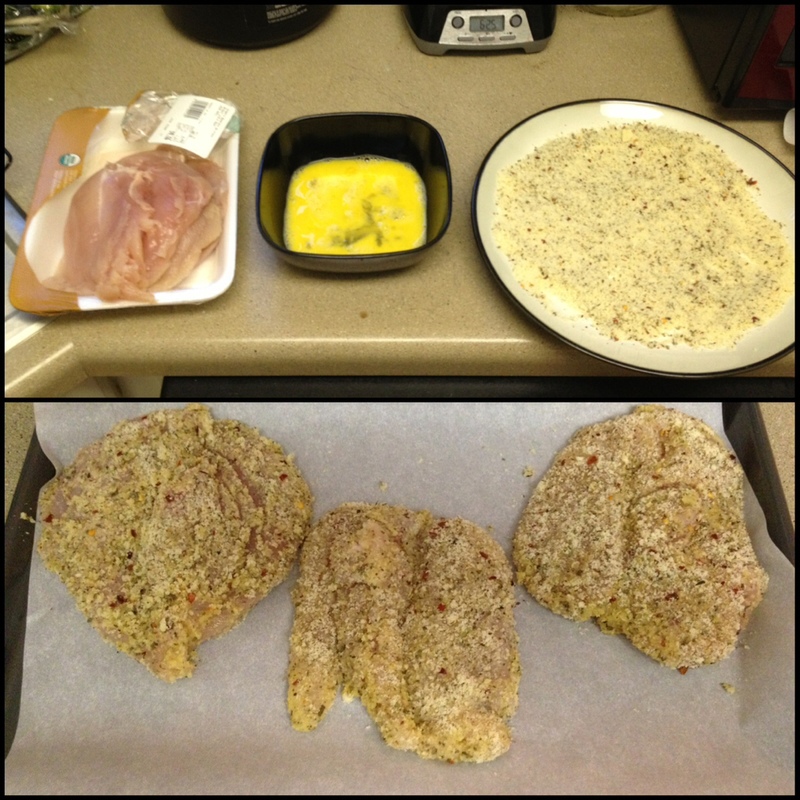 Dip a piece of chicken and cover both sides in the egg mixture then do the same with the almond flour. Place the chicken onto a cookie sheet with parchment paper. Throw those suckers in the oven at 375 for 35 minutes. 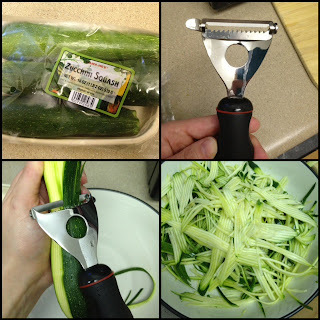 While the chicken is cooking grab your zucchini and use a mandolin slicer to make it look like spaghetti but so much healthier. I have made a decision. I know I am big about spaghetti squash- but this is 10x easier and I think tastes 10x better- SO I would like to formally say I like zucchini noodles better. Feels good getting that off my chest. Grab a bag of spinach (just for added flavor and nutritional value) and saute about 3/4 of it in a pan with olive oil. When it is wilted add in your zucchini noodles and warm everything up. I added a bit of butter and put it in the microwave to keep it warm. When the chicken looked finished and crispy plate it by adding the noodles first then the chicken and finally add some of that sauce to the top. 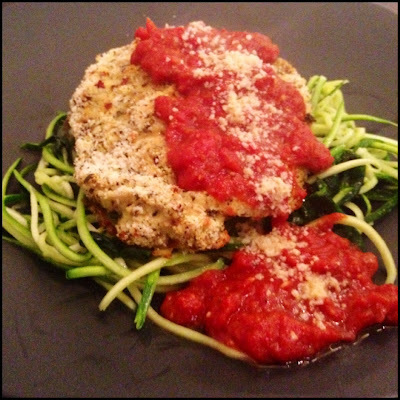 I like adding parmesan to the top too because I love cheese but you don't have to!